One of Bruce Springsteen's producers, Ron Aniello, talked recently with Rolling Stone about Springsteen's forthcoming album, High Hopes. I won't post the entire interview but I will post some interesting questions below. If you would to read the full interview click here and I suggest you do as it is a good interview. Many people were surprised the album was going to focus on older songs. Did that surprise you too? No. For any other artist alive, that's how they make records. It's, "Oh, I got a song. It's great." Then it just ends up on the record. With any other artist, this would be completely acceptable. And we're not saying it's unacceptable to some fans. It's just if you read fan sites you see people saying, "Oh, it's older songs." But you have to understand it has its own story, in my opinion. This is the story of what he's not willing to put on albums because they don't fit. They just didn't fit the particular story he was telling for each album. The first time I heard "Hunter of Invisible Game" I thought, "My God, this is one of your greats." He went, "Yeah, it just never quite fit." That's the story of the record. 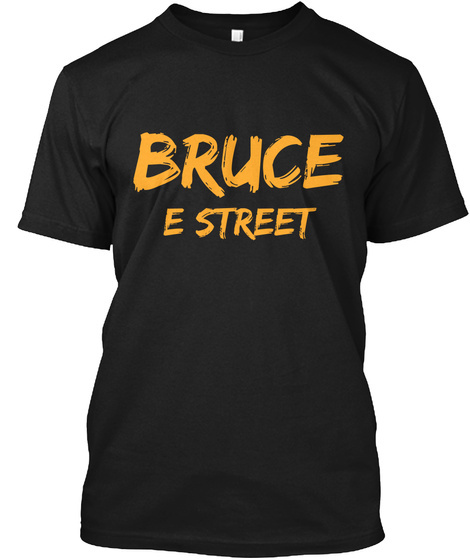 So I'm not sure how fans are going to react, but it's a great Bruce record. It's a great rock & roll record. The fact they're older songs doesn't detract from the brilliance of the record. Bruce said he wrote a whole bunch of songs before Wrecking Ball, but I suppose he didn't want to dip into those for this album. Those were about 30 or 40 songs. They were very unique for him, unlike anything I'd ever heard. That's what I wanted to do originally, to help arrange those or give him ideas or look for some inspiration. Those are lovely songs, but none of them are on this record. There's 12 songs on High Hopes. How many did he consider before cutting it down to 12? We recorded 20, at least. He cut out some of my favorites, real great tracks. He's obsessed with sequence, where songs are going to go. The thing with Bruce is that he accepts his inspiration without question, he doesn't analyze it. But when it comes time to analyze, that's when he turns the screws on everything. Then he'll go back and forth with sequences for months and months until he gets it exactly where he wants it. So these songs were outtakes from The Rising, Magic and Wrecking Ball, is that right? I wouldn't say they were outtakes. I'd say that the Brendan O'Brien songs were because they were basically finished recordings, but our songs . . . Let me look at the list. There's not one outtake from Wrecking Ball. The only thing we tried for that record was "American Skin (41 Shots)." We did try a track of that. He said, "All right, this is one of my great songs and I'd love a recording of it." But it wasn't really an outtake. I wouldn't say any of them were outtakes, except for, I guess, "Harry Place" and "Hunter of Invisible Game," which is my favorite. Do you think any of those pre-Wrecking Ball songs are going to be released someday? Can you recall any song titles he cut off High Hopes? Am I allowed to say that? Well, there's a song called "Cold Spot" I really liked, but it didn't make it. There's a song called "Hey Blue Eyes" that I also loved, but it didn't make it. Another was called "American Beauty" and there was also "Mary Mary." Those are the ones that come to mind. There might have been five more.